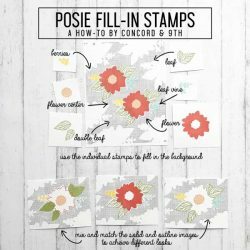 Posie Full-In dies by Concord & 9th. 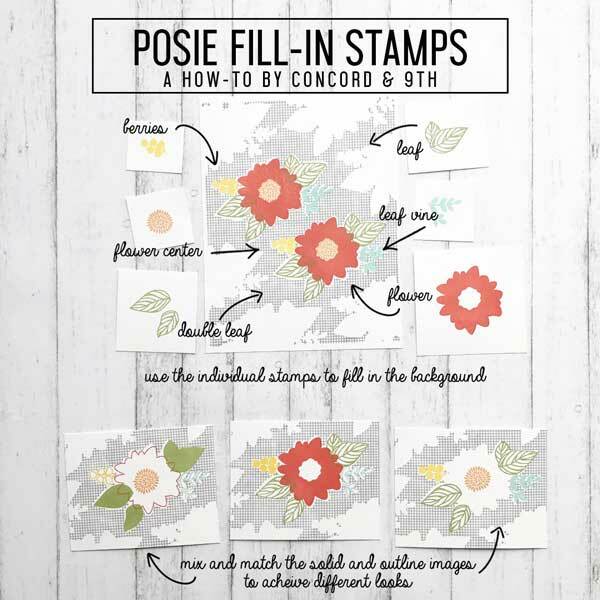 This 7 piece die set coordinates with Posie Fill-In stamp set (see below). 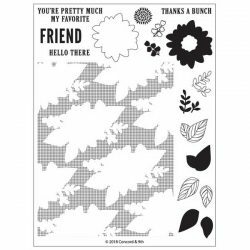 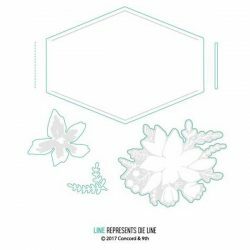 Use the flowers and leaves to die cut your stamped images. 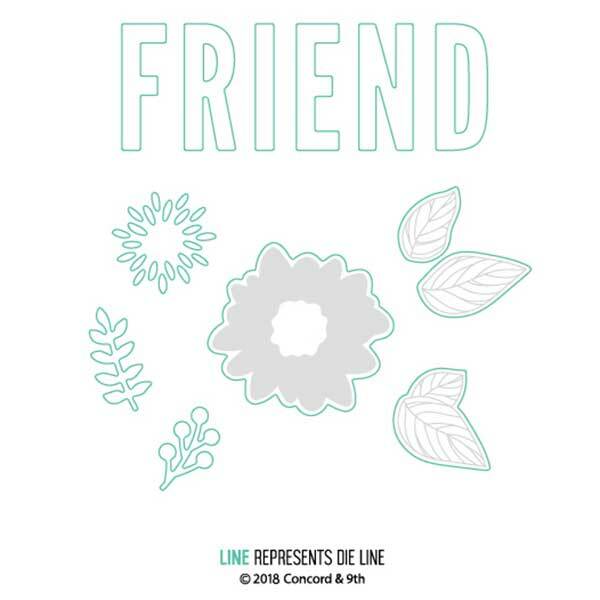 Use the flower center, and sprigs to accent your stamping too! 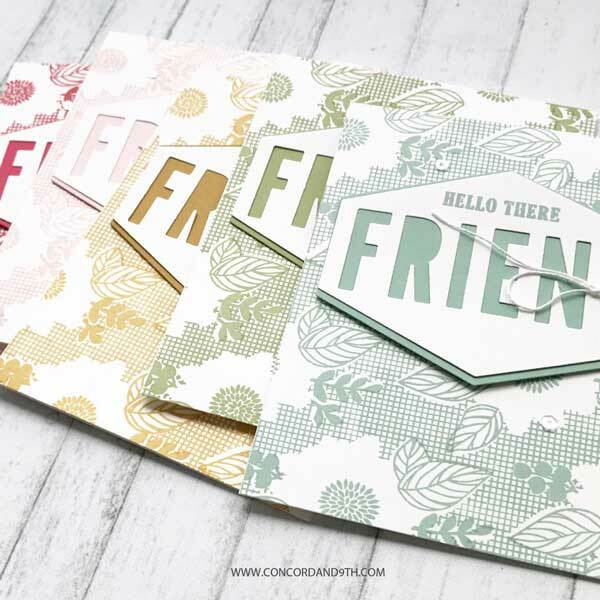 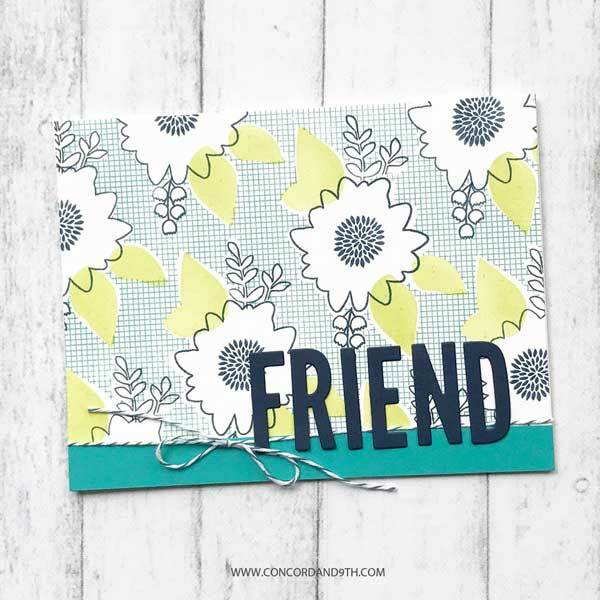 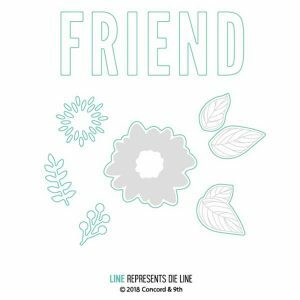 The bold FRIEND really makes a statement on your cards and other projects!